Adding an image to any piece of content adds visual interest and can increase engagement. But images aren't visible to search engines. By adding alt text to your image, search engines can find these phrases on your site, which improves your SEO. Please note: adding alt text to an image does not add any title text. Alt text affects search engine rankings and accessibility, while title text appears when a visitor hovers over the live image. In your HubSpot account, navigate to your website pages, landing pages, blog, or email. Hover over the page, post, or email you want to update and click Edit. 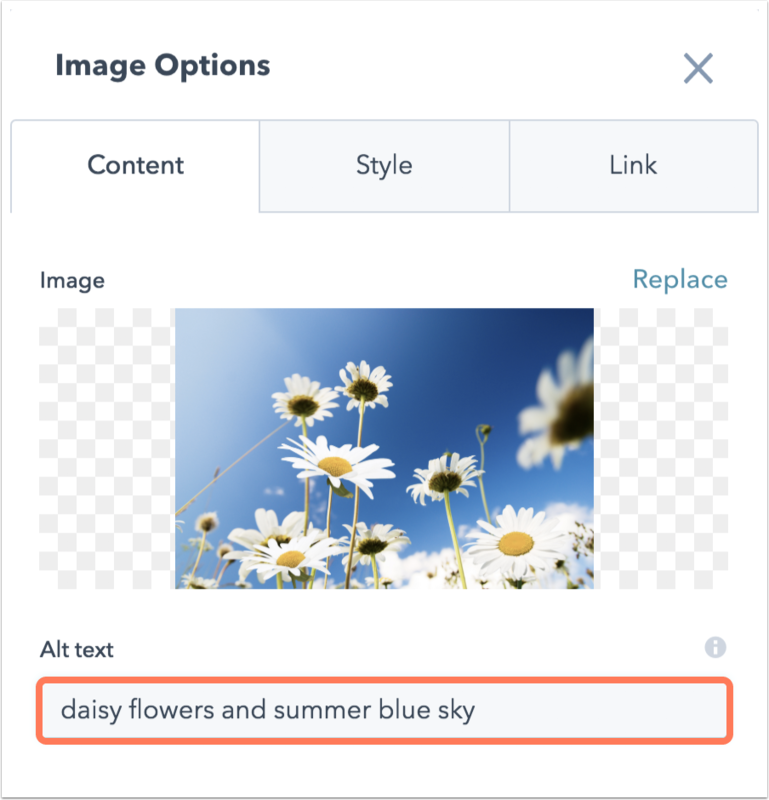 In the content editor, click the rich text module that contains your image. Click the image to open a pop-up editor. Enter your Alt text in the Alt text field at the bottom. Click Update, Publish, or Send your email to apply your changes. In the content editor, click the image module that contains your image. Or click the module icon integrations to select the Image module on the left sidebar pane. Just below your image, enter your Alt text.